Click here to see event listings. 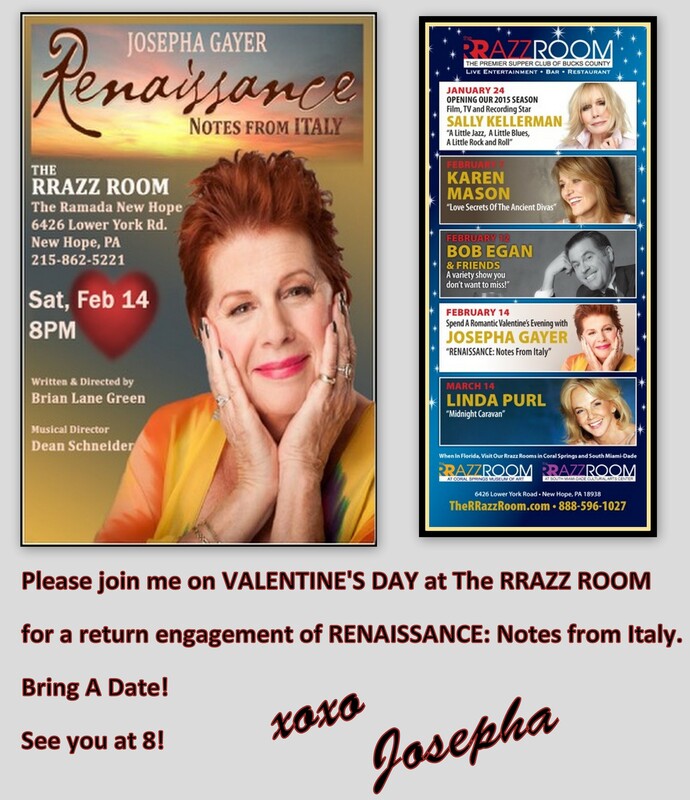 An American opera singer goes on vacation in, “RENAISSANCE: Notes From Italy”. 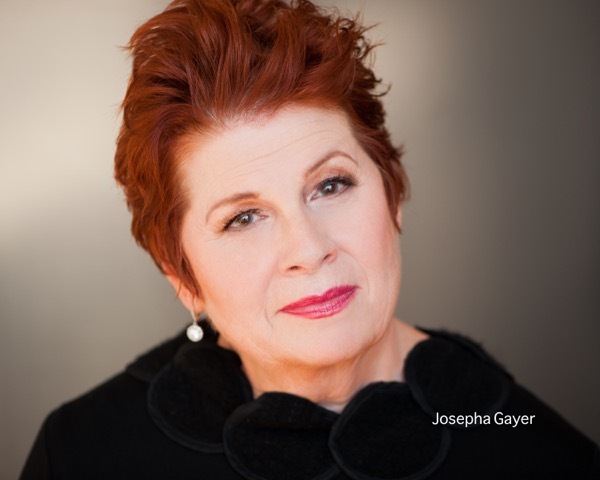 Josepha Gayer made her Metropolitan Opera debut at an age when most performers are retiring from the stage. 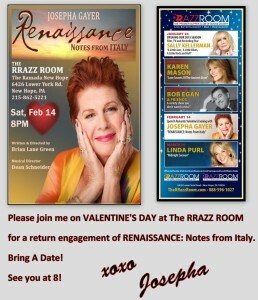 The ever evolving Josepha has played concert halls around the world, including New York’s own Carnegie Hall. 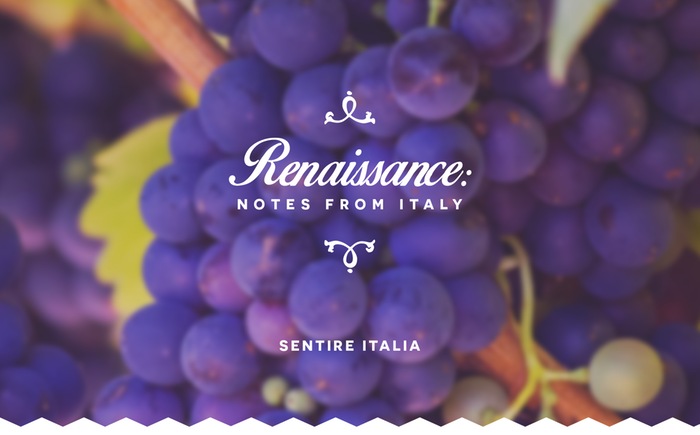 She continues to be an inspiration today, sharing highlights from her 15 day trip to Italy – The Land of the Renaissance. Traveling with her daughter Robin, arm in arm and heart to heart, they took in all the sights. From the shops of Milan to the restaurants of Capri. From the canals of Venice to the fountains of Rome. Driving through the Italian countryside. Eating pizza in a piazza. Walking the halls of the legendary opera house, La Scala. Viewing the works of the Masters; Michelangelo’s breathtaking David and Leonardo Da Vinci’s, The Last Supper. Great works of art can inspire, revive, re-awaken, and remind us that we can be reborn at any age. Stories of family, thoughts of home, love, music, life, and of course… all the songs that came to mind along the way. Pure Imagination – Together, Wherever We Go – We Open In Venice – Caro Mio Bein – With A Song In My Heart – O Sole Mio – Al Di La – Why Did I Choose You – My Funny Valentine – The Fable – A Pizza To Go – Volare – That’s Amore – Moon Over Naples – Oh My Poppa – Mama – New Words – Ave Maria – When You’re With The One You Love – Arrivederci Roma – Three Coins in a Fountain – Along The Way – When You Wish Upon A Star… and… Be Italian!